Dirty offices are a national problem costing Australian companies by millions of dollars every year. The costs are caused by employees having time off sick due to illnesses caught at work, and inefficiency caused by a dirty work environment. Do you regularly eat at your desk? It’s a fact that many people eat lunch at their desk and go straight back to work without washing their hands. 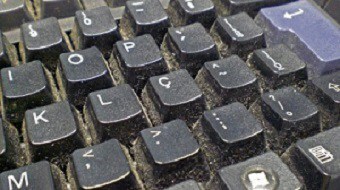 This means that the computer keyboard will collect a diverse mix of crumbs, dirt and bacteria. Just the thought is enough to make you sick and need to have time off work. If you share your computer with someone else, then there will be even more germs. Cleaning a keyboard isn’t even that difficult. Start by turning it upside down and shaking out all of the crumbs which have fallen in-between the keys. Then use an alcohol desk wipe to clean the keys gently. You might find this easier to do if the computer is off, or the keyboard is unplugged. 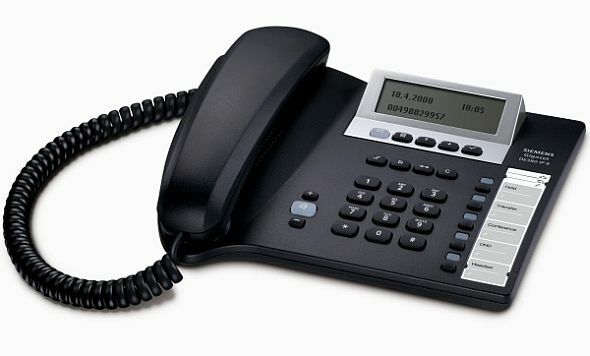 Your desk phone probably also gets a lot of use by different people. As a result it can harbour germs even if it looks clean. Use another alcohol cleaning wipe to clean the handset and body of the phone. The alcohol should be enough to kill the bacteria which live on your phone. 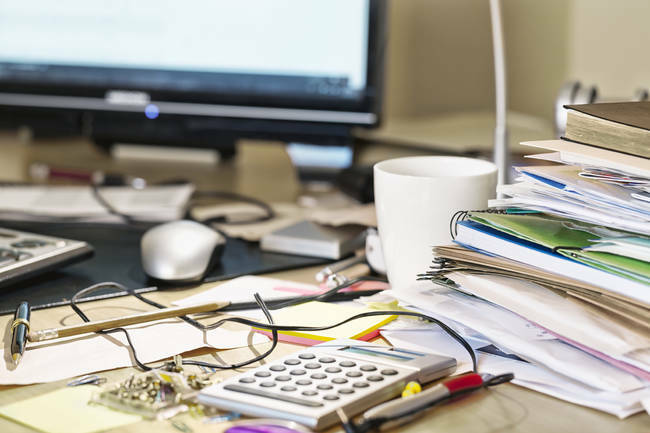 Your desk might look very clean, but if you look behind your monitor then you will probably find a huge dust ball, or at the very least a sprinkling of dust. You might not see it, but this will get kicked up into the air, and you will end up breathing this in. This isn’t good your your health and can even lead to serious long term conditions. Be sure to clean behind and around your monitor. While you’re at it also spend the time to clean the vents on your computer to stop dust getting blown around the room. Several studies into work hygiene have discovered that there are an average of 400 times more bacteria on a desk than on a toilet seat. A truly shocking and disgusting statistic that should be enough to encourage anyone to clean! One of the easiest ways to clean up dust is to use a damp cloth. By keeping the cloth damp it will stop the dust from getting airborne and causing you any trouble. The quality of the air is very important for good health, and to improve your mood. 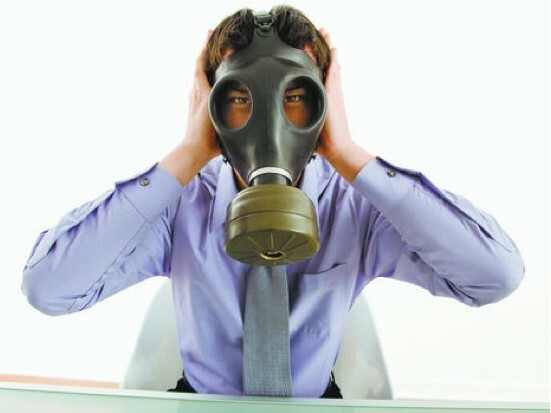 If you don’t have a window to the outside world in your office, then the air quality can be pretty bad. Make sure you get the air conditioner serviced to stop excess dust being blown around your office. Also consider adding some plants around your office. These will make an instant improvement to the look and feel of your work space. They will also start to improve the air quality by releasing oxygen. Many offices have hard wearing carpet tiles which are often quite a dark colour. These carpet tiles hide what’s lurking inside them. There can be dust, dirt, mould and bacteria. All of this is getting thrown into the air every time someone walks over the carpet. Be sure to vacuum on a regular basis, and also consider using a steam cleaner to kill bacteria and mould. 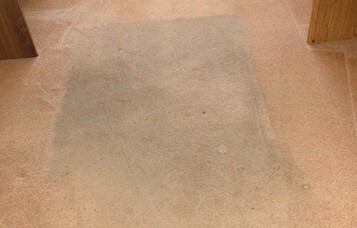 If your carpet is too old them it might need replacing. A clean office is not only healthy, but it’s also productive. You should feel much happier at work and also won’t need to have as many days off ill. Nobody likes a filthy office and it can become very depressing. To stop your office getting in such a state again make sure you regularly clean. Try to get into a routine of cleaning at least once a week. If you are struggling to find the time to clean, then consider hiring an experienced office cleaning company to help as these cleaners would know the exact areas which need to be targeted. Check out the following article for an awesome cleaning schedule for your office.